I have been a fan of Everyday Minerals for quite some time. I really like their Intensive formula foundation and their Finishing Dust. Their blushes are sublime, as are their brushes. You also won't get a better value than you do with Everyday Minerals. You may remember me mentioning a great assortment I ordered from the company last fall in this post. In Saturday's mail, I was really excited to receive two brand new products from Everyday Minerals for me to test out for the blog. I was sent a Lippie in a shade called Enough Talk, Kiss Me! and a 2-in-1 bronzer/blush compact called Hiking Everest in Heels. The two items can be found in EM's On the Reef Coral Collection, which includes 12 makeup items and a canvas tote for only $34. Seriously--12 summer makeup items for $34. What a deal. The one thing I love about this line besides the stellar quality is the fact that the price point is so competitive. 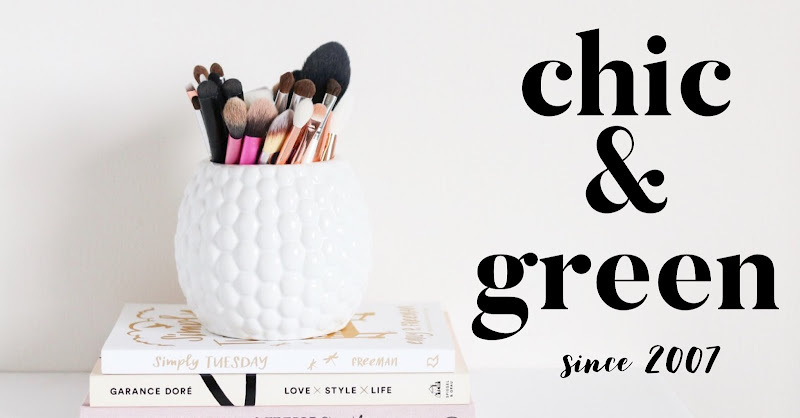 Single items sell for $12 or less. The various kits they offer are always a wonderful deal as well. Let's start with the summer lip color. The shade is really the ideal everyday shade for this time of year. It's a radiant soft coral shimmer with a bit of pink, so it can be used by everyone. I usually do not do corals because blue undertones suit me the best, but this really is a neutral shade. 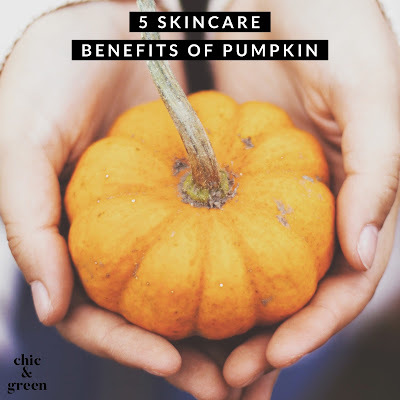 If you normally wear a tinted lip balm or just a hint of color to add that pop in the summer, this will be right up your alley. Yesterday, I was outdoors all day planting some herbs and flowers and just had on my sunscreen, mascara, and a bit of concealer. Instead of my normal lip color, I applied this in the morning. It lasted through my morning coffee and faded gradually while I sipped from my water bottle. 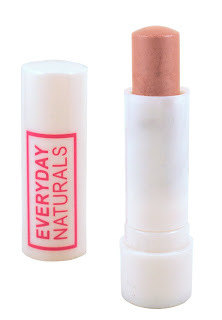 The nourishing formula really kept my lips feeling soft and supple. The ingredients you'll find in this line's lip products are really wonderful--sunflower, olive oil, castor oil, pomegranate, mango butter, etc. All of their lip items are also free of carmine, which is a huge plus. While this is not a long lasting, full coverage product, it really is a beautiful formulation and the color is subtle, yet lovely and so flattering. Even though this is a shade sold in this summer kit, you can find other shades on their site for only $4. 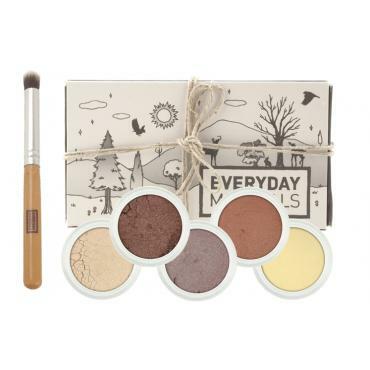 The second item Everyday Minerals sent me is awesome. I am all for paring down the amount of products I need. 2-in-1 formulations done properly can save time and money without sacrificing the desired effect. This product was done right. If you have seen me in person, you know that I am very fair. I burn easily. I am not one of those people who gets a tan. When I have a bronze glow, it comes from a bottle or my makeup. Finding a good bronzer is often a challenge for me because they come off too rusty, too orange, or just too artificial for my skin tone. I like the concept of this product. 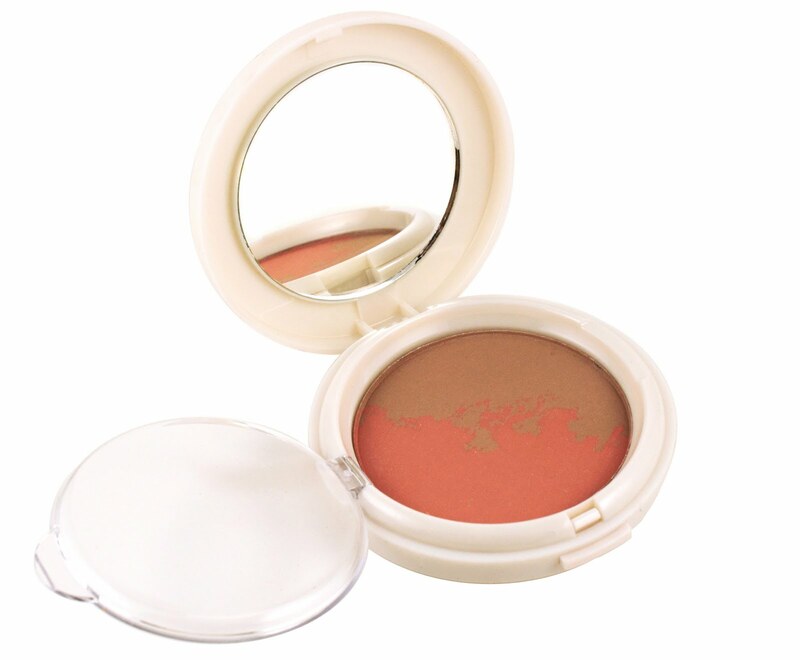 It is a silky, yet rather matte coral pressed blush with bronzer is one compact. A sponge is included, although I actually love the result using the Everyday Minerals Domed Blush Brush ($11). I lightly blend the blush and the bronzer right in the compact with one slight sweep of the brush and then apply everywhere the sun would naturally hit. The result is natural and subtle, but the effect is definitely buildable if you desire a more intense result. This product is lovely. It reminds me of another product I recently was able to sample by Dior, Dior Bronze Coral Riviera. Keep in mind that the Dior product is $43 and this one is far superior in terms of the ingredients used. If you are like me and have a hard time finding a believable bronzer, I cannot say enough about this! I am really impressed with these 2 new products. I am going to order a product from the company today, in fact. It's called At the Zoo, and it is a great collection for summer for only $12. It comes with 3 eye colors, a blush, powder, and a brush. It is pictured below. *Dislosure: I have been a paying customer of Everyday Minerals for about 3 years and adore the line. In fact, I just ordered several new items after I wrote this piece. The two products I reviewed, though, were sent to me at no cost for review. This in no way impacted my opinions and all opinions are my own.